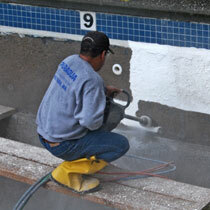 Is your swimming pool beginning to show signs of age? 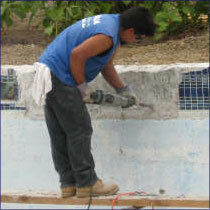 Is the coping loose, is your tile cracked and falling off and are your kids complaining about the plaster feeling rough on their feet? 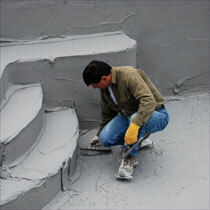 Or maybe you just want to achieve a completely new look. 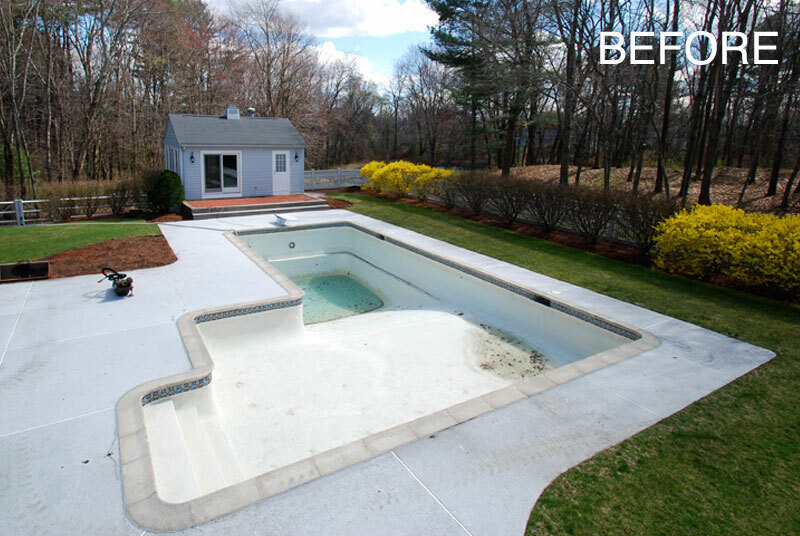 Puraqua is an industry leader in remodeling services which allows you to change virtually everything with your existing pool. 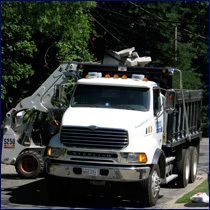 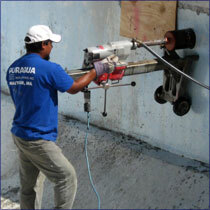 We combine old time craftsmanship with modern technology and pride ourselves with personalized attentive service. 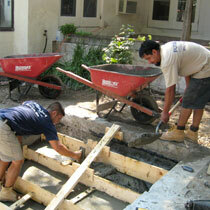 We work with our clients to effectively choose what the best options are to accommodate their desires. 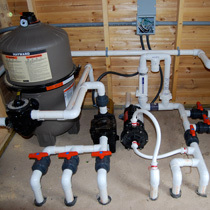 From state of the art products for modernizing your filtration and sanitation needs to redesigning the layout and material of your decking. 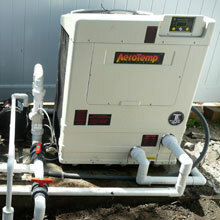 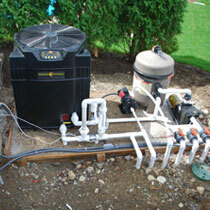 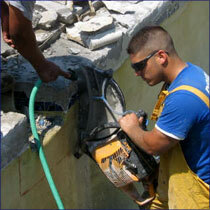 We also offer the latest technology that makes pool maintenance much easier. 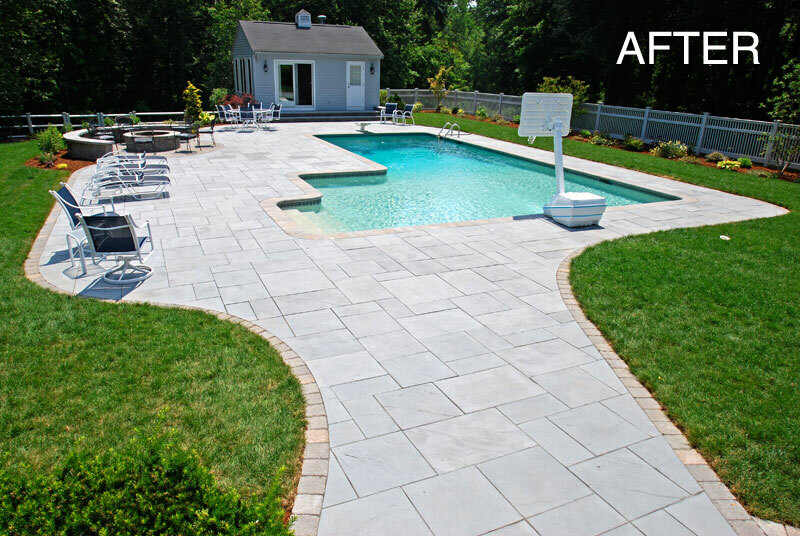 These new innovations will save you money, time and frustration, that will allow you and your family enjoy spending time by the pool. 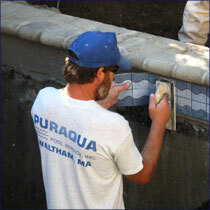 Puraqua creates a new experience and brings life back into your swimming pool. 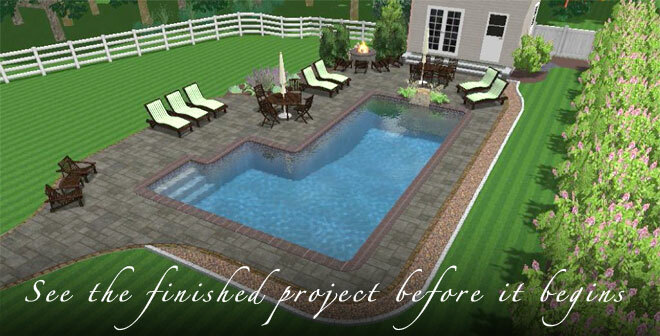 We offer 3D pool design and blueprints to help you envision the final product before construction actually begins. 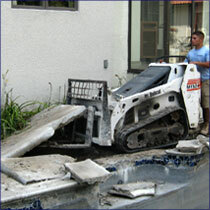 The demolition of the existing pool deck is broken up in sections with use of machinery (bobcat and a mini excavator with a hydraulic hammer). 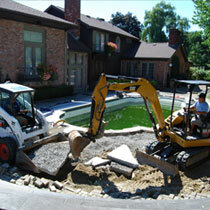 The material is removed from the pool area and is hauled off-site to a recycling plant. 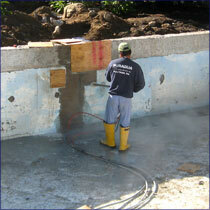 Pool coping is removed and a clean surface is prepared for the application of new decking. 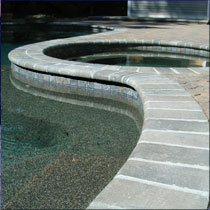 There are many decking options to choose from... click here for pool decking options. 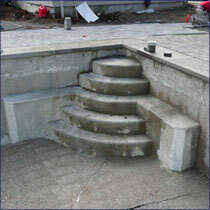 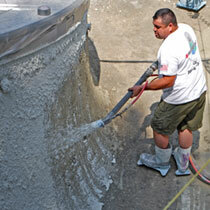 Puraqua is able to repair sections of compromised gunite or add new steps and benches. 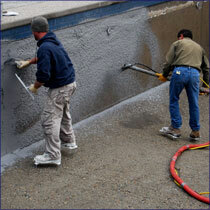 Pool walls can be rebuilt to look new when the renovation process is completed. 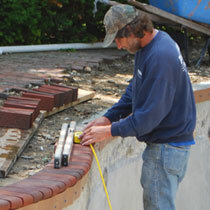 A laser is used to determine the level of the pool beam for the appropriate placement height of the new skimmers. 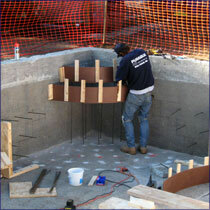 Forms are set and installed for the skimmer mouth and the skimmer housing. 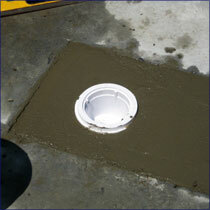 Return wall fittings are inserted into the cored holes and cemented into place. 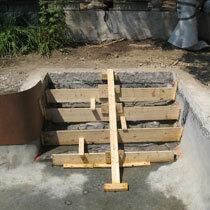 The main drain is removed and a new drain housing is concreted in place. 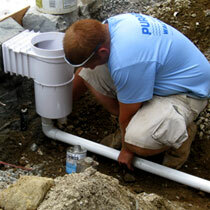 Trenches are excavated and new underground plumbing is installed with rigid PVC pipe. 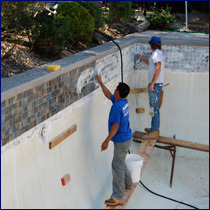 Existing pool coping is removed , and a clean surface is prepared for the application of new coping or cantilever decking. 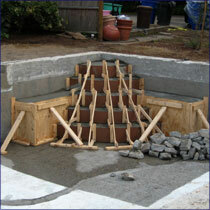 There are many coping options to choose from to match your project design... click here for coping options. 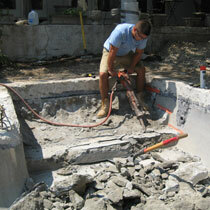 Existing waterline tile is completely removed and the surface is then prepared for installation of new tile. 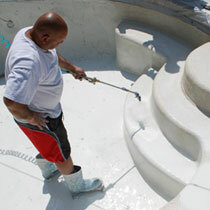 Ultra high pressure water blasting is performed in order to ensure a clean, rough bondable surface for plaster application New surface application is hand troweled to complete the resurfacing process (materials include: standard marcite plaster, river rok and pebble finishes) On completion of plaster, pool is filled immediately to aid in the curing process. 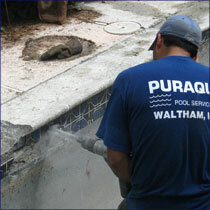 Puraqua can update or replace older pool equipment to make your pool more efficient and reliable. 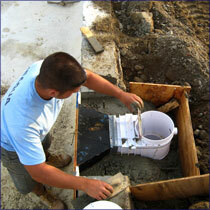 We can construct a concrete pad for the equipment.